Angie and Aimee. The oldest girl and the baby girl. Our picture is forever altered. For there was a face that fit right in the middle. Wanda’s. After all, we do have a job to do. We will be her voice. We will share the love of Christ with others. We will carry on. I feel that both Aimee and myself have a new found determination to do more. Go further. Carry more. Tell more. Be more for Christ, Who was all for us. We began with the T-Shirts. They speak a message. 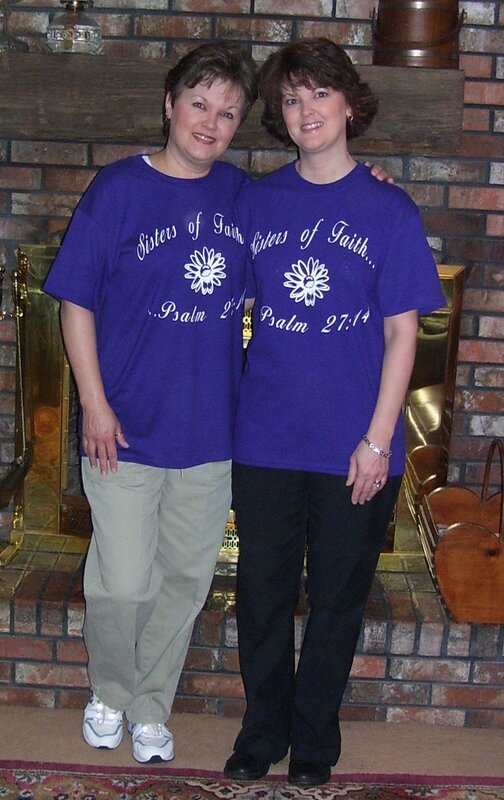 Sisters we are….faith we have…Christ we share. I can’t tell you what she saw when she took His hand and entered in….but I can tell you what I felt. I felt the glory of God as I have never experienced it before. I felt—more than saw….a glimmer of His Presence as the heavens parted for her to make her entrance as He extended His hand. As a conductor lifts his arm and completes an emotionally riviting piece of music….sweeping His arm upward, reaching higher for the highest note to be heard…I felt her move in spirit to the “higher places” with the Father. The beginning of the most beautiful song heard imaginable. 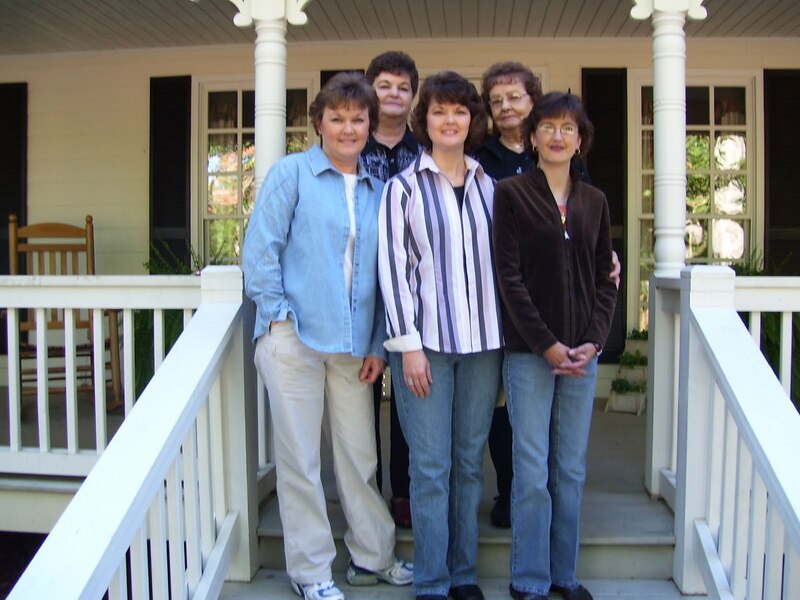 Sisters of faith…and sisters that have not yet decided to accept His love….Accept Him. Accept His love. Accept His Gift. Christ Jesus’ life. His sacrifice. Accept Him today! I intend to hear that song for myself. Her song as well as mine. For we each have one you know. At least it’s what I believe. Whatever I need to change in my life…I will change. Whatever He chooses for me….I accept. He is my all. My Savior. My Father and soon coming King. “Sisters, the cross will be heavy at times, but you will never have to carry it alone. The Lord will be your guide…as He was mine. Remember the past victories and rejoice! Remember the countless blessings and take heart! There truly is joy in the morning! This entry was posted on Thursday, February 4th, 2010 at 10:03 pm	and posted in For Sisters of Faith. You can follow any responses to this entry through the RSS 2.0 feed. Amen, beautifully said dear sis. I love you. This new blog is awesome, be blessed. I love this new look sis, this is going to be very awesome. Beautiful sharing and beautiful blog makeover.